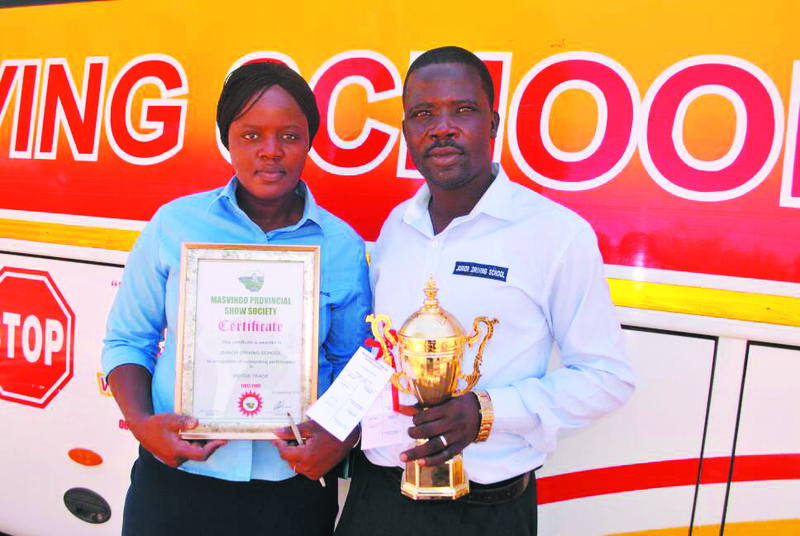 Junior Driving School which exhibited for the first time in this year’s Masvingo Agricultural Show scooped the best exhibitor’s Award in the Motor Trade category. Junior Driving School won the prize ahead of Croco Motors and CMED’s EasyGO Driving School. 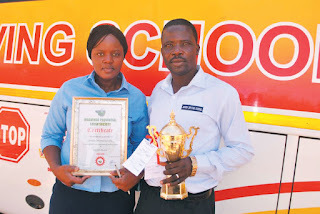 Speaking to TellZim News after receiving the trophy, the founder and director of Junior Driving School Noah Marima said he was happy that his business had made huge strides to earn the big recognition. “We have managed to shrug off stiff competition and we came out victorious. Our work in ensuring that everyone become their own drivers is speaking for itself. “This was our first time to exhibit at the Masvingo Provincial Agricultural Show and we got it right at the first instance. This will surely give us motivation to keep growing,” said Marima. Dubbed the Oxford University of all driving schools in the province, Junior Driving School has now set its eyes on the wider market. “We have established a good market in Masvingo province and we are now targeting the Midlands province market. Our unmatched client services are sought for across the country and we say to the Midlands people Junior Driving School is bringing a full package,” said Marima. Junior Driving School offers driving lessons for all classes that is class 1, 2, 3 and 4. The driving school also offers haulage truck lessons and gives internationally recognised certificates. It also offers credit facility to all civil servants at zero percent deposit whereby they are allowed to do lessons, get their driver’s licence and pay in monthly instalments.